Love Varnish: Spring is here! Yay! The sun has come out of hiding and spring is finally here, and that can mean only one thing: Holo polishes! There's not much I can say about this manicure, it pretty much speaks for itself. This is 2 coats of Catherine Arley nr. 800 over 1 coat of Kiko 238 Martha red (800 leans a bit towards the pink-ish side and because I wanted it to be red I layered it). This is not the strongest holo, but it will do for now. There is still a lot of summer to go! I was about to say that this reminded me pretty much of a Kiko polish I own, while seeing the picture preview in my blogger homepage. That's it!!!! This is a great choice, this polish fits perfectly with the Kiko base. I love it.. there's much of summer in this shade! So gorgeous!!! 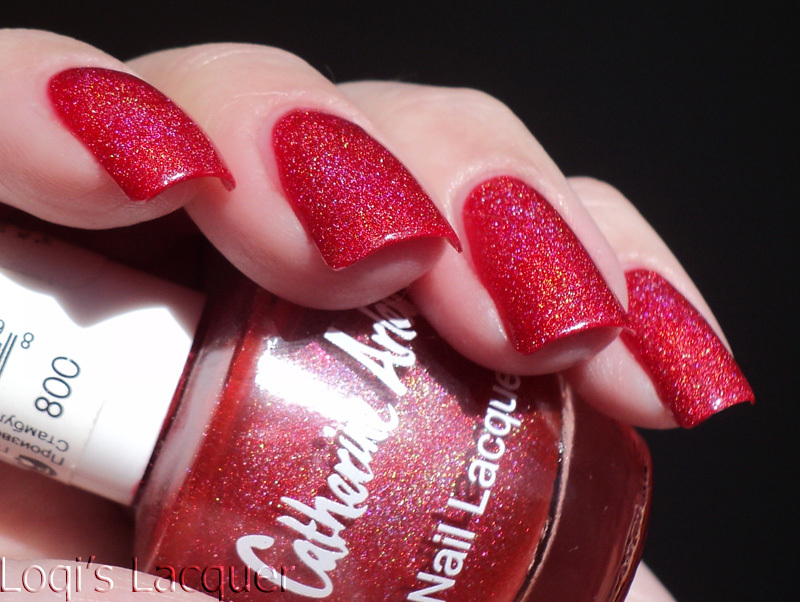 I need to get my hands on some of these Catherine Arley polishes. It seems to be really hard to get a strong holo (esp a linear) out of reds. Don't know why...maybe because red is such a strong color? I wish Catherine Arley was available in the U.S. You can find a few colors on eBay, but theoneI'm most fascinated with (#803) is never one of them.